This entry was posted in Food, Signs of the Times and tagged bread, Grocery Store, Sprouts, vegetables on May 22, 2010 by Kelson. 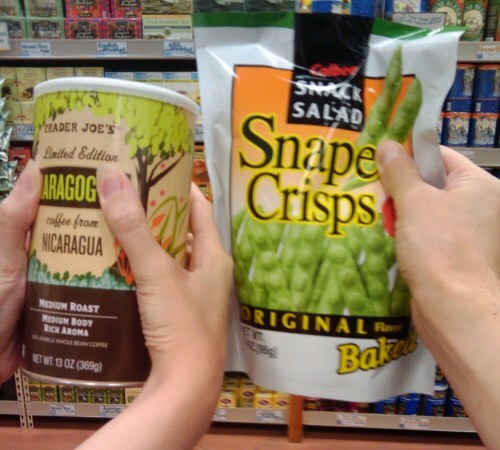 I keep misreading the Snapea Crisps as Snape Crisps…and then Katie noticed that you could pick out a related name from the Maragogype Coffee at Trader Joe’s. This entry was posted in Food, Sci-Fi/Fantasy, Signs of the Times and tagged Grocery Store, Harry Potter, Trader Joe's on December 1, 2009 by Kelson. 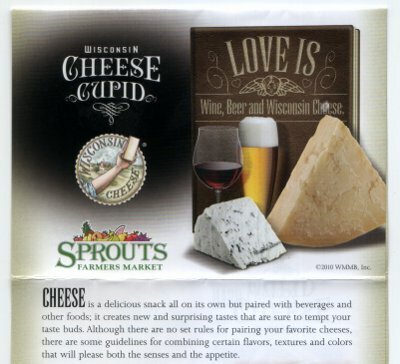 This entry was posted in Signs of the Times and tagged Grocery Store on May 21, 2009 by Kelson. 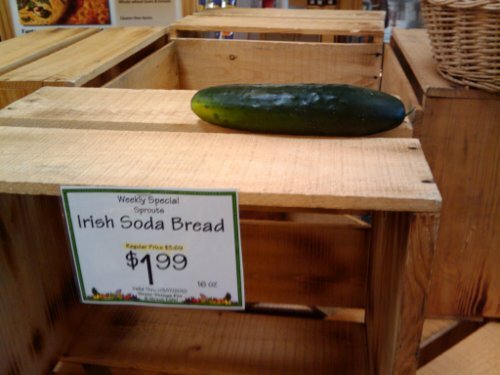 I think this was at an Albertsons grocery store. All the vegetables on this particular shelf had little signs like this identifying their uses. Habañero peppers, a good source of capsaicin? No kidding! I remember when I was younger, “jalapeño” was practically a synonym for “hot.” I had no idea it was barely the beginning. 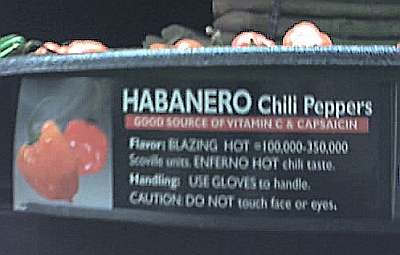 Jalapeños are only 2,500–8,000 on the Scoville scale—far below the 100,000–350,000 quoted for habañeros. 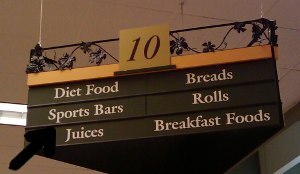 This entry was posted in Food, Signs of the Times and tagged Grocery Store on March 5, 2008 by Kelson.